If you have been searching for bottling companies in Florida, you have probably stumbled across Southeast Bottling & Beverage. As one of the premier bottling and labeling companies in the United States, we have the facility, experience and capabilities to provide unmatched co-packing services for beverage companies of nearly all types and sizes. From beverage formulation and development to production, packaging, shipping and everything in between, we have the expertise and industry knowledge to help you get your new or existing ready-to-drink product on store shelves quickly and efficiently. We have three unique filling lines to better serve our customers, and our capabilities include multiple mixing technologies, hot fill, cold fill, flash pasteurization, and much more. In addition, our new, state-of-the-art facility boasts over 76,000 square feet and offers clients features not found at other bottling and labeling companies, including five filling rooms, a separate pharmacy, an air-conditioned warehouse for raw ingredients, on-site refrigerated storage, and equipment such as a labeler, sleever, cooling tunnel with chiller, bottle air flush, high-end palletizer and more. Southeast Bottling & Beverage also has over 31,000 gallons of tank capacity, which means we can quickly and efficiently fill orders of all sizes and quantities. Whether you are looking for bottling companies in Florida to handle a small trial run to test your product in the market or need to fulfill several large orders of an existing RTD product to immediately hit store shelves, we can get your product ready to ship in no time. 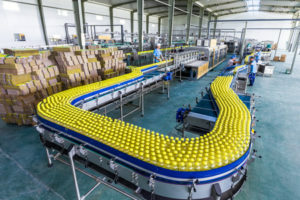 We serve hundreds of businesses in Florida, New Jersey, New York, Georgia, Texas, Alabama, South Carolina and throughout the Eastern United States, so contact us today to discuss your beverage bottling needs with one of the best bottling companies in Florida – Southeast Bottling & Beverage.